SignalTight drop connectors for 6 Series cable minimize the number of self installs that become truck rolls. SignalTight technology enables signal transmission approaching that of a fully tightened connector, even if left loose. 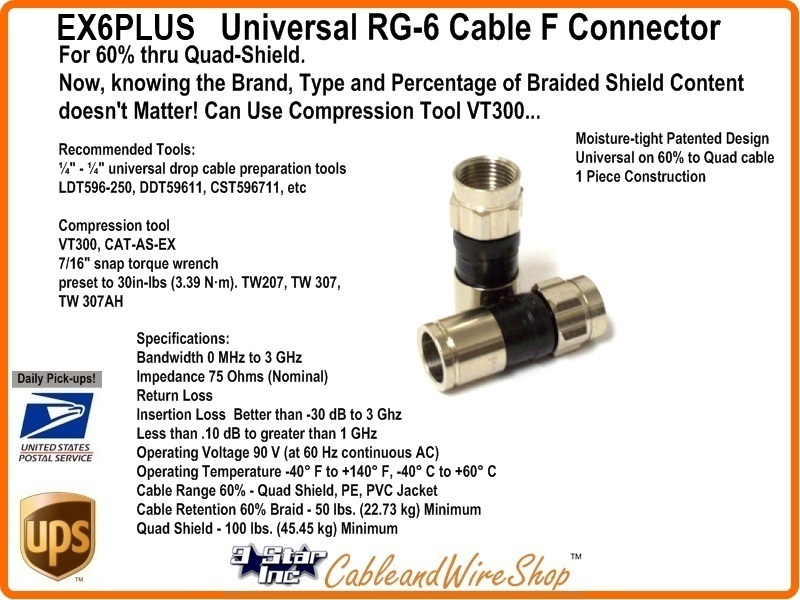 Economical for Use on All RG6 Coaxial Cables with 60%, Tri and Quad-Shield. Now, knowing the Brand, Jacket Type and Percentage of Braided Shield Content doesn't Matter!